Trinity Montessori School joins everyone in mourning the passing of John W. Anderson. Mr. Anderson was an astute business man with interests all across the globe but let me share with you his dedication and commitment to our world here at Trinity Montessori School. John Anderson served as Trinity’s Chairman of the Board of Directors from 1998 through 2012 and currently held the position of Chairman of the Finance Committee. As President of the Board, I speak for my fellow board members, in extending our heartfelt sympathy to Colleen Anderson and their children, Casey, Wes, Peter, and Mike. Over the past 20 years, it was inevitable that the first 15 minutes of every board meeting was an accounting of the latest escapades of the Anderson children! The boys all attended Trinity and each one of them received their Eagle Scout Award with a project dedicated to our school…playground equipment repairs, nature paths, and most recently, the building of our first six benches for the amphitheater in Nichols Knoll. John was present before, during, and after each one of these projects, working diligently side by side with each son. He could have been anywhere in the world, but he chose to be at Trinity; teaching, sharing, and impressing upon his sons the value of giving back to the community. John was just as proud of those moments as he was of any other of his accomplishments. As a Board member, John was committed to seeing the vision of a new campus become a reality. He brought us together as a group, expecting each one of us to use our gifts and talents to support the cause and then he led the way by giving. He gave of his time, his knowledge, his connections and then he reached into his own pockets to make sure that his philanthropic gifting made an impact…the kind of impact that makes dreams come true. 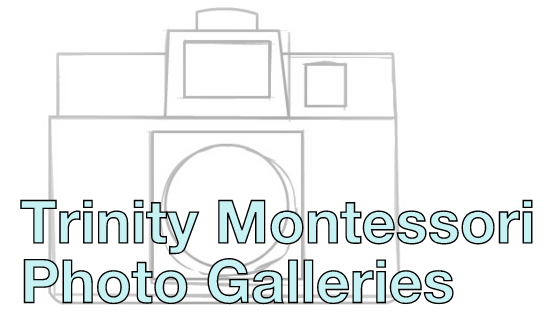 As you walk through the doors of Trinity Montessori School, know that it stands here, in a large part, due to the dedication and the inspiration of an amazing man who believed in the importance of education. John Anderson will always be remembered as one of our champions. The Sister Sheila Sentiff Peace Scholarship is being established at Trinity Montessori School to honor the many years of loving service Sister Sheila gave to the school and to children in our community. If you’d like to make a gift in Sister Sheila’s honor and to help perpetuate the celebration of diversity and peace in the world that Sister Sheila so dearly embraced, click below for a Sister Sheila Sentiff Peace Scholarship form. Thank you for your gift in Sister Sheila’s honor.